Re: how economical is your jimny? That is massive tyres. I Have trouble fitting 31". do you have some sort of reduction gears? I know there is a guy in the UK that sells them for about a sheep sation. Rig is a lot of fun off road but not the most practical as a daily driver. I am a bit jealous i have a 2010 Jimny so a body lift is out of the picture as its my daily drive and need to keep it insured. If its possible could you throw a pic up of your wheel arch? I'd like to see the line you chose to trim and and how it changes the look of the car. I like the idea of chopping guards to fit big tyres as it keeps the center of gravity low. I have 215/75R15 BGF AT's, ARB Bullbar, 9500lb winch, roof racks, basket and custom rear draws. I have a nov 2011 jimny and I find I get around 420km to a tank stock standard. 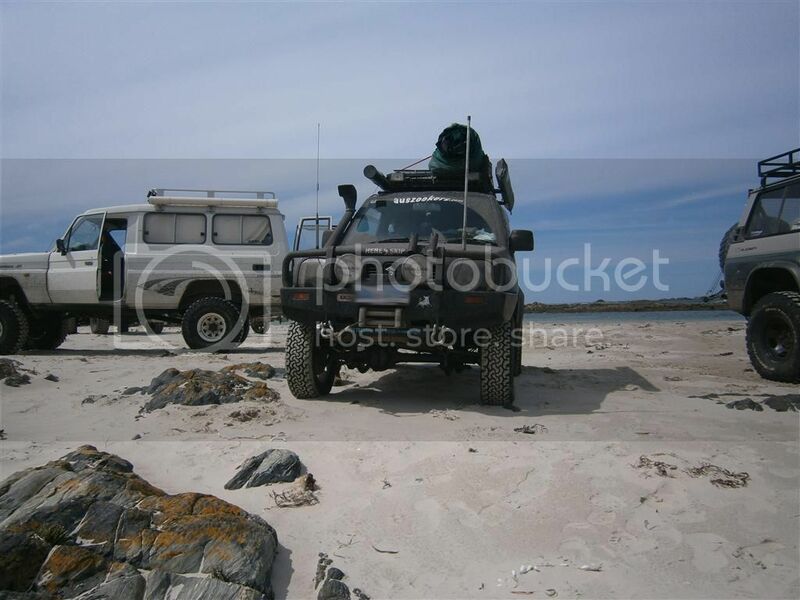 mediumaus wrote: I have a nov 2011 jimny and I find I get around 420km to a tank stock standard.